Sublimation printing or full print is one of the personalisation techniques that offers you more freedom when it comes to creating a design on garments or clothing accessories. You can forget about the restrictions on size, since you can use the entire surface area of the garment to capture your design. This type of printing will make it possible to distinguish yourself from your competition and you can be even more visible with all-over print, which is a print that covers the entire surface area of the garment. Sublimated personalised T-Shirts work exceptionally well as an advertising device and marketing strategy because they capture so much attention. Nowadays, it is one of the most popular techniques in the world of advertising, fashion and sport. We mean it. It can give a fantastic look. Fashion projects always need a little more freedom when it comes to creating designs. This is why contemporary designers rely on this technique to give free rein to their imagination. 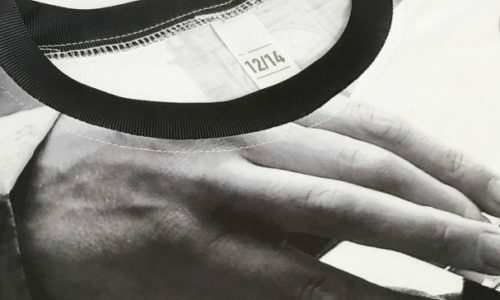 When it comes to selecting this printing technique, you should take into account that the clothing should be 100% polyester. Polyester has the capacity to ensure that the ink remains transferred via heat and pressure. The colours in textile sublimation stay very vivid, although on the other hand the system of colour that is used is CMYK, meaning that there is no possibility of using the Pantone matching system of colours. The opportunity to reproduce photographic images in any colour and at high resolution makes all-over print sublimation the ideal technique to make your fashion dream a reality. Merchandising for agencies and design businesses using sublimation? Of course! Agencies and businesses within the sphere of design are full of very creative people. Sublimation is a solution that has only recently become widely known, and is increasingly becoming a go-to personalisation tool for businesses that want to achieve a more homogenous brand image. Lanyards that hand on the neck are a product that draws attention and end up being very useful for those who receive it; but this is only one example of sublimated products. Cups, caps, backpacks and an extensive range of merchandising products can all be sublimated. The strongest feature of sublimation, apart from the total design freedom, is the smooth touch on textile surfaces. The secret is that the ink remains completely integrated into the fabric and on the surfaces to which it is applied. Often, business T-Shirts can be a little unadventurous and in your case, you may wish to break the mould slightly. Well, with full print sublimations, you can guarantee that your T-Shirts stand out from the competition. If your organisation is an original or left-field business, get carried away with all of the options that sublimation offers and surprise your clients with a T-Shirt that they will never forget. And by extension, neither will they forget your business. Use high resolution images and background patterns, and add your logo in a unique way. Don’t forget that it is also very important to display your email, telephone, website and social media info. One of the best ways of making sure that your investment in an event pays off, is to sell custom sporting merchandise that references your business. If you are an organiser of a race, it may interest you to know that a large part of the income that you receive is due to merchandising pertaining to your race. The same applies to sporting events of every type. Selling T-Shirts that make reference to a team or sporting event is the most profitable for organising an event. Every business or sporting group with self-respect uses personalised technical T-Shirts, but not everyone exploits the possibility of using sublimation to personalise them. Sublimated technical T-Shirts offers a better breathability when taking part in a sport than any other type of T-Shirt or personalisation technique. Printing by sublimation doesn’t occlude the pores of the fabric, leaving the T-Shirt completely breathable and able to wick away moisture with ease. Another of the major advantages is that the texture is very soft, the printing starts to form part of the fabric. Textile sublimation is carried out by applying transfer paper onto the garment or fabric. Thanks to the pressure and the heat of the special press, the ink is turned into gas and becomes completely fused with the fabric, becoming part of it. Apart from being able to completely sublimate the garment, you also have the option of printing and stitching, making the garment still more unique. Don’t forget that one of the most important things is making your images available in the highest resolution possible so that you can have the best quality of image perfectly printed. Take advantage of the fashion of popular races to make technical T-Shirts for sporting events to promote your business. Already know how you’re going to apply textile sublimation to your project? Tell us, we would love to know.